This is a handwritten set of basic math explanations. These explanations are used daily in education classes and have step by step instructions for each example. 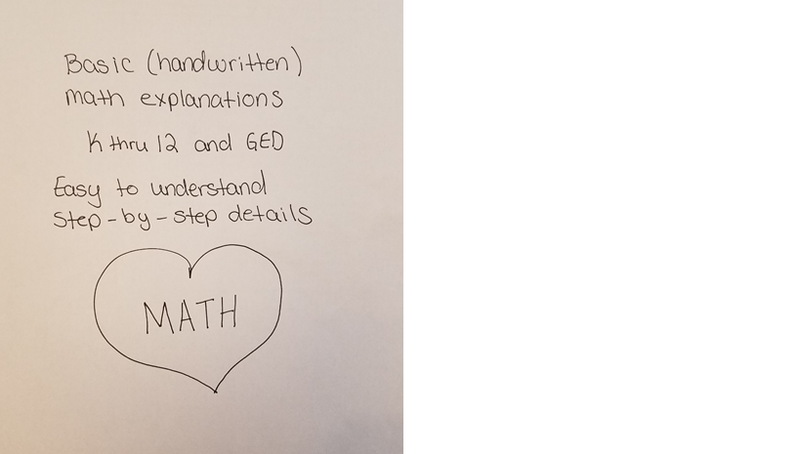 While being used in class it was found that some students with learning disabilities prefer the handwritten explanations over the typed explanations so these explanations are for those students and others who may find them helpful as well. .